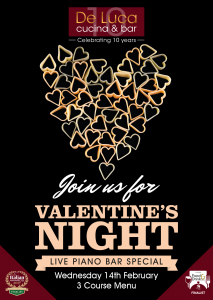 Celebrate Valentine’s Day at De Luca with our special three-course set menu for £38 p/p. 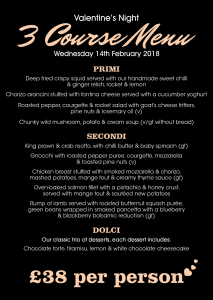 Indulge in some of our classic dishes including chorizo arancini, deep-fried crispy squid, king prawn and crab risotto, and our rump of lamb. 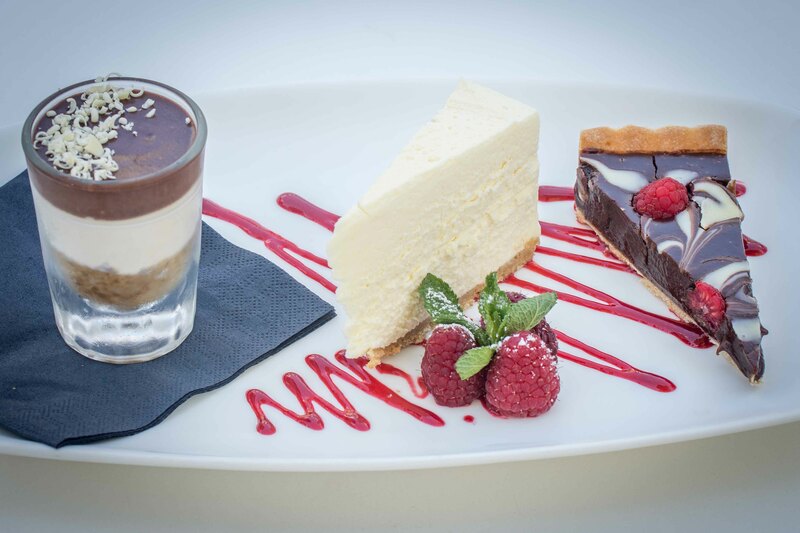 For dessert there’s no need to pain over which of our desserts to enjoy, as we’re including our hit ‘trio of desserts’, each of which includes our famous tiramisu, cheesecake, and chocolate torte! 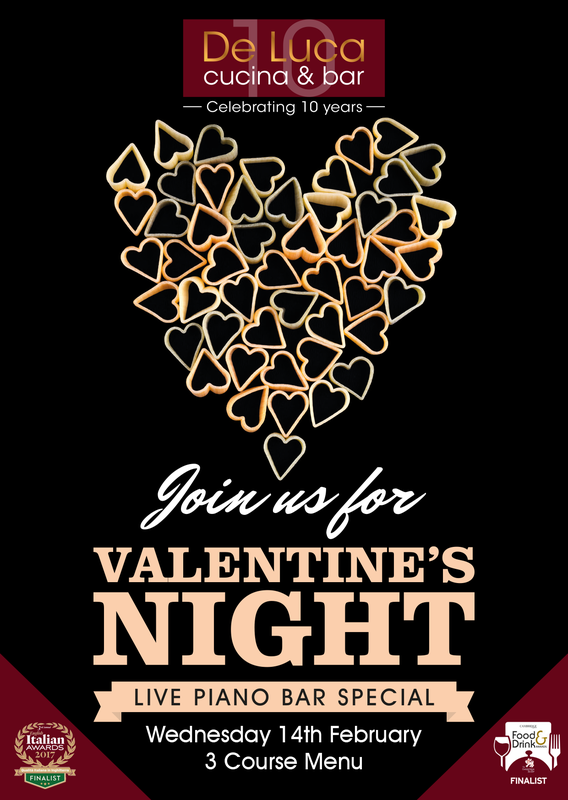 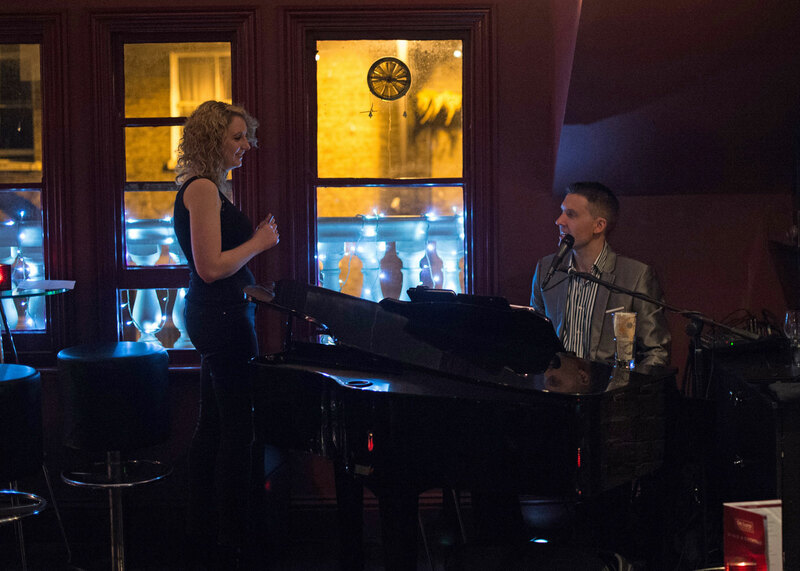 We’ll also be hosting a Valentine’s special in our top floor Piano Bar with love songs and requests throughout the evening. 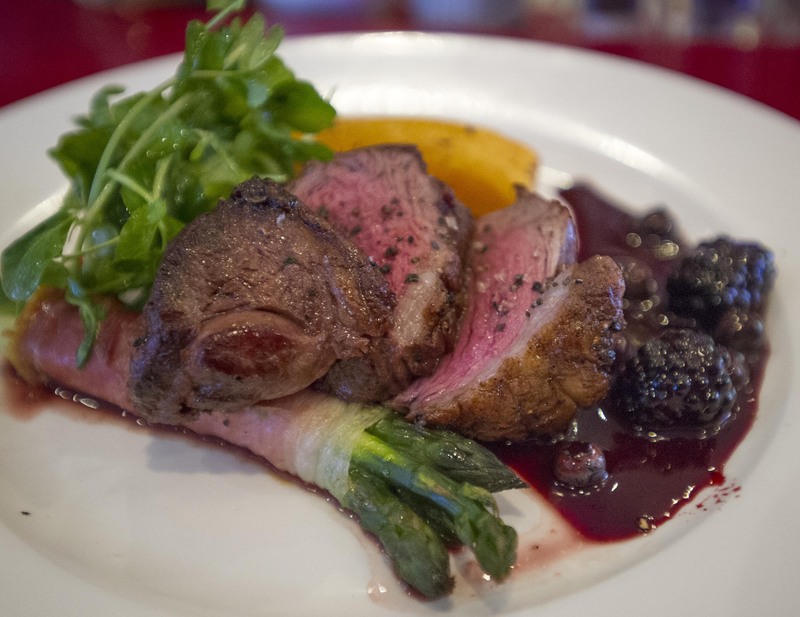 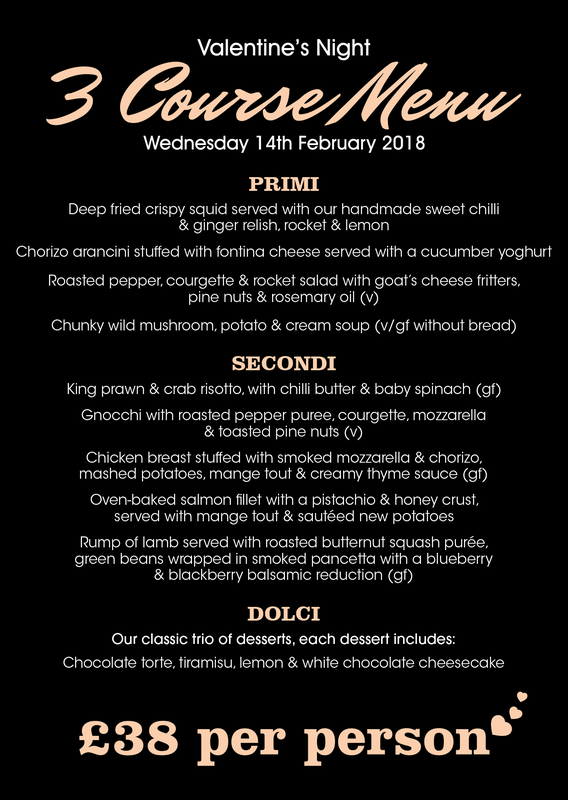 Click here for the full Valentine’s Day menu.